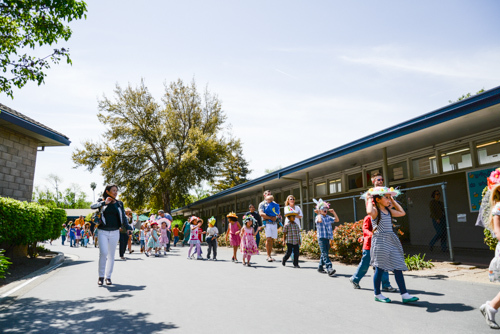 Spring was in the air at the lower school on April 18, as hat-happy kindergartners showed off unique and colorful headwear during the annual Spring Hat Parade and Egg Hunt. On that Friday afternoon, the children proudly wore festive hats they had decorated at home. Marching in a fun parade, the students wound their way through campus, stopping in various classrooms to model their fabulous attire.